Culinary Delights from My Kitchen: Corn & Fenugreek Rolls...Apt accompaniment to my winter evenings! Corn & Fenugreek Rolls...Apt accompaniment to my winter evenings! Sunday evenings are relaxed. If its winter season then for sure after an afternoon nap, my husband and i curl up in a warm blanket in our living room and watch our favorite movie. My best time! So last Sunday had been a hectic affair. Too much of cooking happened in my kitchen and by the afternoon i was half dead. I had already planned a simple dinner, a bowlful soup with some homemade garlic bread. Yes, so now you know what got me so tired. Sunday was all about baking. A fresh fruit cake (which will be coming in soon) and then a garlic bread. Aaaah! A yummy tummy weekend for me and P.
I had made some food preparation for our evening movie time as well. Yes, Of course! I know, i am incorrigible. After so much whole day work, i couldn't resist making some snacks for the best time i look forward to spending with Mr.P. Since long i wished to use fresh methi leaves in deep fried rolls. I had freshly bought produce from the market and before i could use it in my aloo-methi, i thought to innovate! So i caught hold of some frozen corns and paneer and just made a delicious roll, different yet delicious. 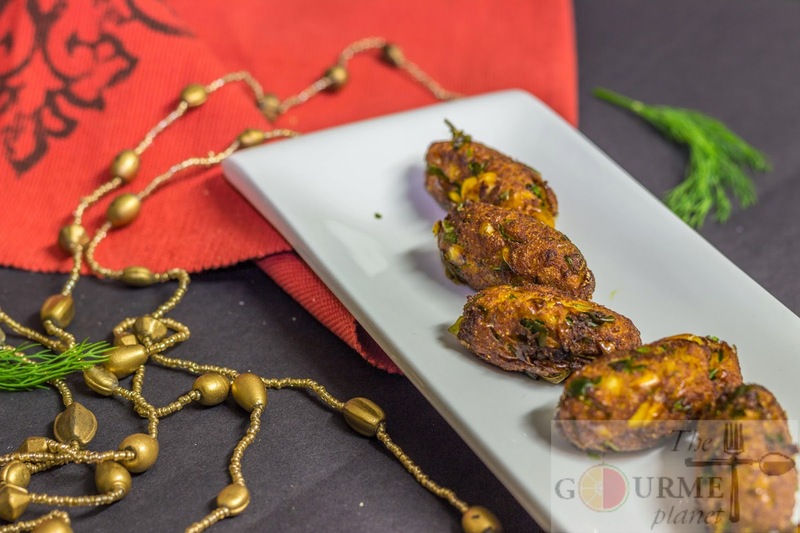 A lightly spiced fried roll along with some curry leaves dip came out as an apt evening snacks for winters. Swathed in layers of quilts, my P and i simply loved them with ginger tea and lost the count of how much we ate. A Sunday full of baking activities, an evening with my love and a hearty light meal. Who says that only fancy stuff can be alluring. You need to have an eye for the best! Such a perfect Sunday, well spent with my two favorites, my P and kitchen lulled me to a contented peaceful sleep with no worries of Morning morning blues! 1. Wash the fenugreek leaves and chop them very finely. 2. Remove the excess water from the leaves by pressing the leaves in batches between your palms. Keep it aside. 3. Blanch the sweet corn kernels and strain it, to remove the excess water. 4. Whiz the sweet corn kernels roughly. NOTE: You don't have to make a paste here. Just roughly blitz them. 5. 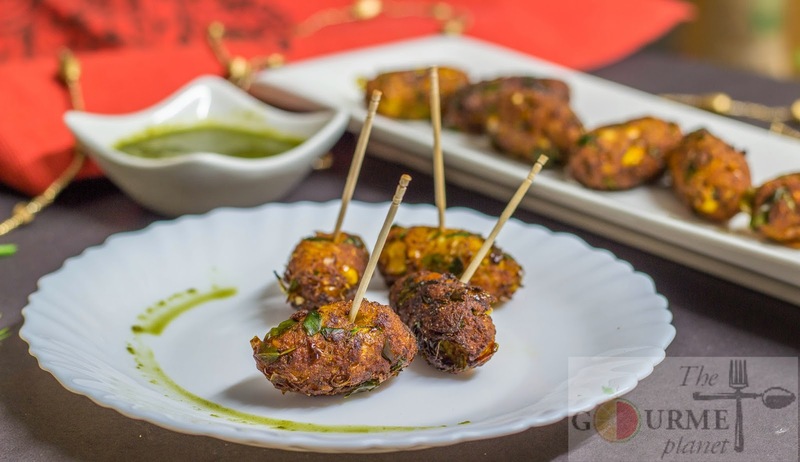 Mix all the ingredients (except oil and chaat masala) and roll them into cylindrical shape. NOTE: Only if you feel the mixture is dry, then add water drop wise else as per my recipe the water from the washed fenugreek leaves will suffice. 6. Heat oil in a pan for deep frying. 7. Deep fry until crisp and golden brown. 8. Transfer them on paper napkins to remove excess oil. 9. Sprinkle some chaat masala and serve hot with tomato ketchup or any green chutney along with coffee or ginger tea. 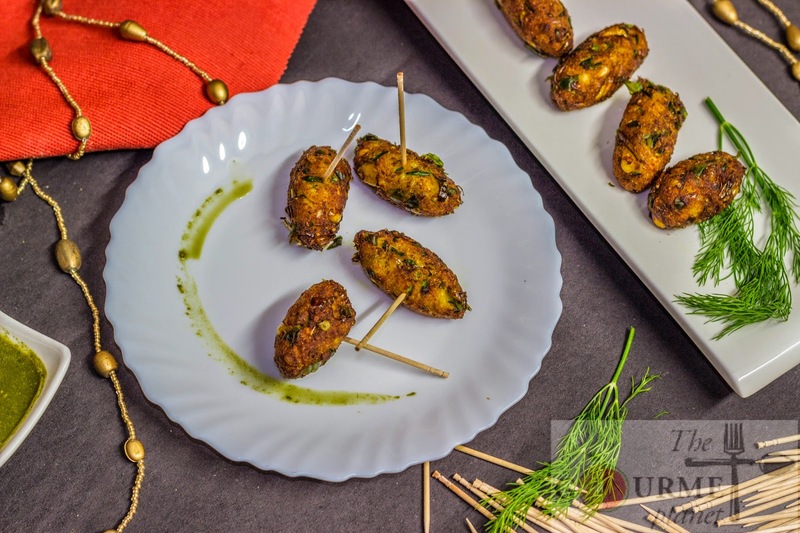 Isn't this a simple yet a perfect evening snacks for those breezy winter evenings, when you sit down by your terrace and watch the sun go down and listen to chirping of the birds while they flock back to their nests, calling it a day! Have a sumptuous snacker evening! Healthy snack!!!! Looks so crispy!! !